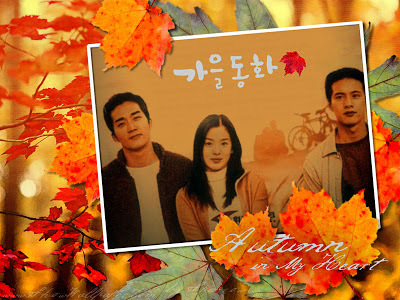 Following the DMZ posting from last week, let’s dig more information about Goseong! Goseong is located in between Mt. Geumgang (located in North Korea) and Mt. 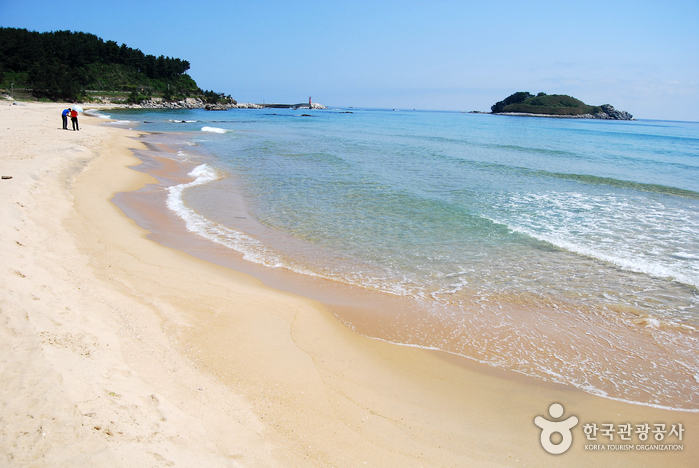 Seorak and it boasts picturesque scenery of mountains, ocean, lakes, and valleys. Built by an army unit in 1983, Goseong Unification Observatory is the nearest place for viewing Geumgangsan Mountain in North Korea, the shortest distance being 16km away and the farthest being around 25km away. 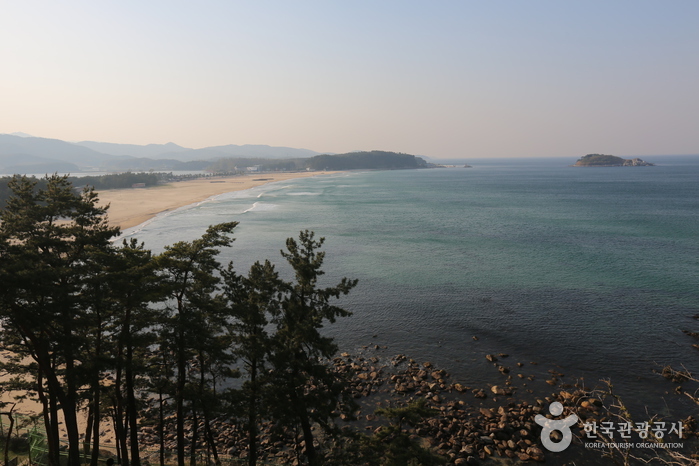 From the observatory, you can see Haegeumgang, and the islands nearby, Manmulsang, and Hyeonjongam. On clear days, you can also glimpse various peaks of Geumgangsan Mountain such as Ilchulbong Peak (1,552m), Chaehabong Peak, Jipseonbong Peak, Yukseonbong Peak, Gwaneumbong Peak. You can see monuments built in the hope of reunification here. 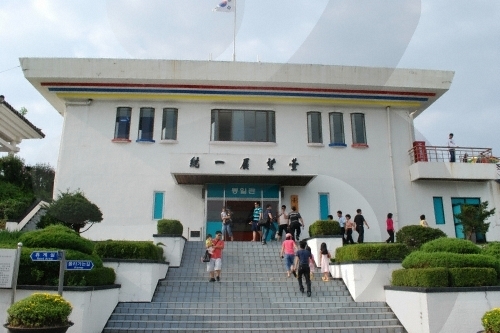 Tongil Security Park, which can be considered the entrance of Unification Observation, was built in 1987 to be used as a national security site. 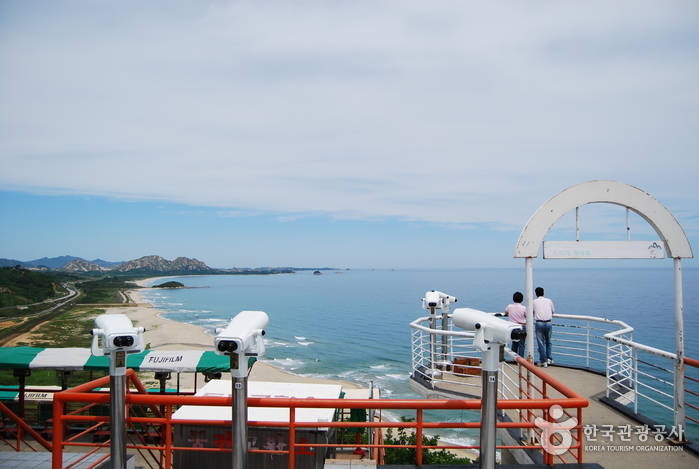 You must pass through a security training here to get to Goseong Unification Observatory. [Bus] From Ganseong Intercity Bus Terminal, take Daejin/Geojin bound city bus No. 1 or 1-1 and get off at Daejin Middle/High School (5-10 min interval / about 1hr 15min ride). Walk 10 min to arrive at destination. 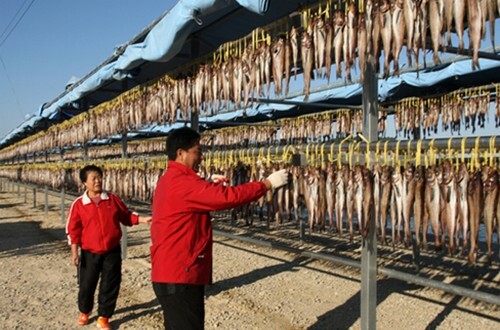 To ensure a good haul and community prosperity, this festival is held at Geojinhang Port, known as the primary place of Pollack fish in Korea. The festival includes numerous hands-on events such as a sea festival, a cultural festival, and a local culture experience. 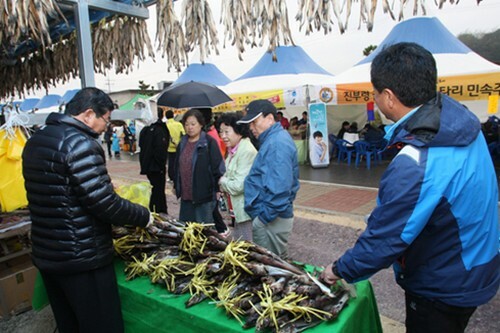 The festival has helped the city to promote their local seafood, farm products and other specialties, thus contributing to the growth of the local economy. At this unique place, you will feel like time has stopped. Korean traditional houses are preserved perfectly at Wanggok Village, so visitors can appreciate Korean traditional culture and experience it in person. 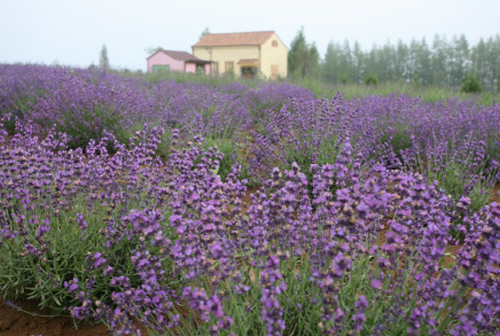 Wanggok Village has a nickname of a ‘village protected by ancestors’. In spite of the Korean War that devastated the whole country or the forest fire that burnt all areas of Goseong in 1996, this village managed to protect itself intact. As it has been a composite residence of Gangneung Choi families and Gangneung Ham families, traditional Korean houses and straw-roofed houses are well preserved and high in cultural value. 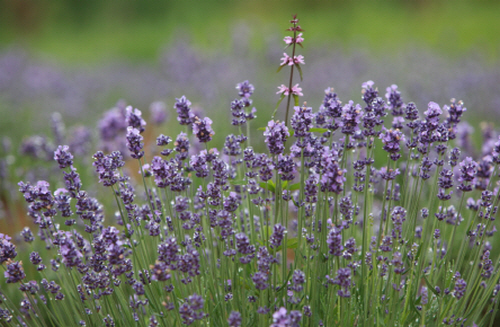 You can even experience the traditional Korean culture by staying at one of those traditional houses. How to travel to festivals? 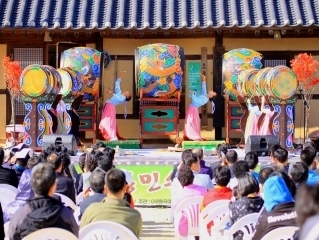 Gogogangwon shuttle has a ride from Seoul to Goseong Tongil Myeongtae Festival and Goseong Wanggok Village Traditional Art Experience Festival with a fare as 5,000 KRW only 🙂 Click the link below to see how to try Gogogangwon bus.